You might help save the world if you give a little girl this fun personalised name print as a birthday gift. It features a girl superhero, from the ‘When I Grow Up…’ range, who is ready for action in her blue costume, pink mask and cape. Personalised with the child’s name in large yellow lettering, the print is available in A4 unframed, A4 framed and A3 unframed. 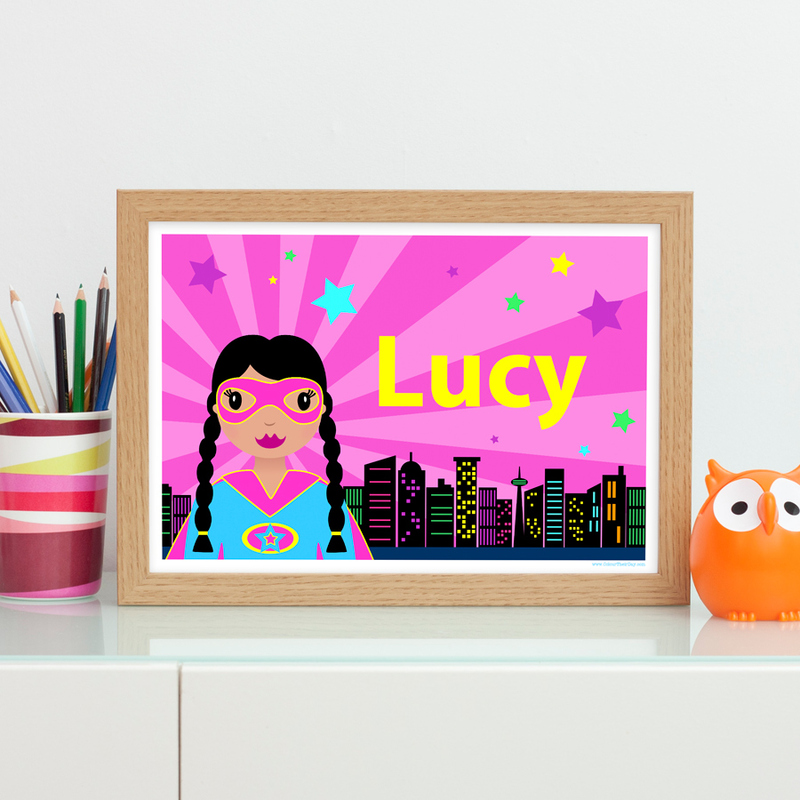 Be the first to review “Superhero Girl Personalised A4 / A3 Name Print” Click here to cancel reply.